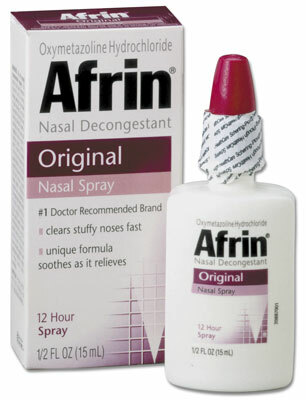 Afrin is seriously a wonderful invention. It clears up a stuffy nose like nobody’s business, however, it’s magical powers are very addicting & we aren’t supposed to use it for longer than 3 days. Have no fear though! Have I got an equally magical use for the stuff that isn’t time-stamped. Everyone & their mom has suffered from the occasional persistent pimple. I’m talking the kind where you can feel it before it rudely rears its ugly red head… the kind that’s too scary to pop. Well, I know I am about to remind everyone of the dad from My Big Fat Greek Wedding who swears by windex… but Afrin is seriously my go-to rescue product for these pesky pimples. Whenever I have an unwanted visitor on my face, I squeeze a bit of the nose spray on the intruder and within a day or two its gone. Magic! The reason why this handy little trick works so well is because nose sprays like Afrin contain anti-inflammatory ingredients, which not only work for a congested nose, but wonderfully calm down agitated pimples. So, the next time you’ve got an obnoxious zit, reach for that bottle of nose spray! This has literally saved me in countless pimple emergencies. 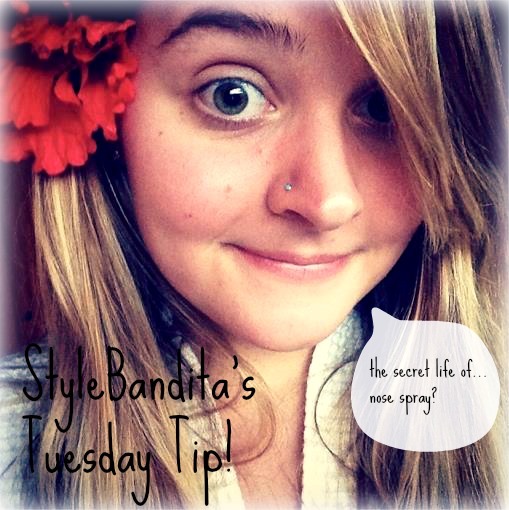 If you enjoyed this tuesday tip let me know by commenting what your weird, nifty little tricks are! ← Meatless Mondays | Healthy Walnut Meat!